... and thats not to mention the toll its taking on your personal life, like the way this lack of knowledge can impact personal life/relationships. So today -- in the next FEW MINUTES, in fact -- were going to help you STOP the pattern, and learn how you can quickly and easily learn some valuable lessons from the best! 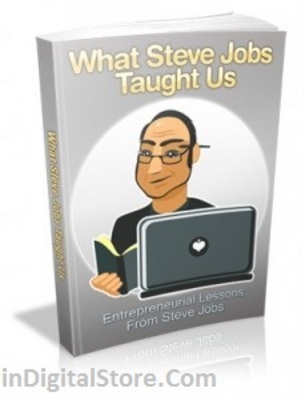 "Introducing What Steve Jobs Taught Us!" With this product, and its great information you will get some amazing lesson from one of the world's most innovative businessmen to apply to your own life. MRR ebook comes with pdf, special report, article, promo email, ecovers, squeeze page and resale pages.